KITE TRIBE, BASED IN EL GOUNA along the Red Sea of Egypt, caters to everyone looking for an action packed, fun-filled kitesurfing holiday. Launched in September of 2017, it was founded by sisters Mia and Sophie Ayoub, of Egyptian and New Zealand origins. Kite Tribe involves a small group of highly trained private kitesurfing instructors, committed to providing professional kitesurfing lessons to guests of all ages and levels. 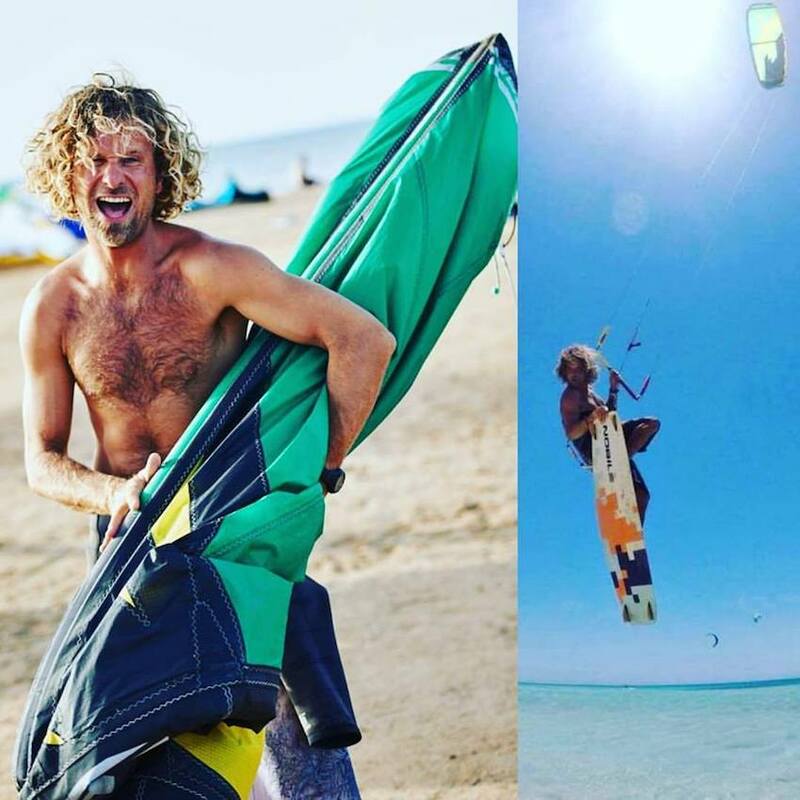 MEN, WOMEN, BEGINNERS OR ADVANCED KITESURFERS, solo travellers or groups can all be sure that we will make your experience in El Gouna an unforgettable one. 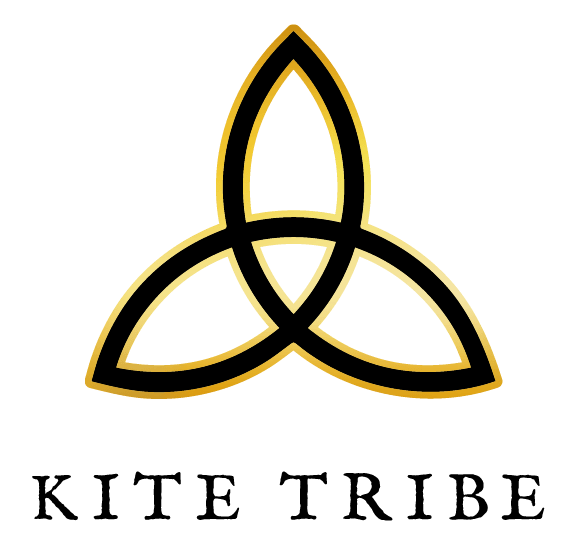 KITE TRIBE AND KITE TRIBE EVENTS: From the Kite Tribe brand stems two concepts; Kite Tribe Events, all inclusive kitesurfing holidays, and Kite Tribe private or partner training. Whether you join an event or take private lessons, our extensive knowledge of El Gouna ensures that you will have an amazing holiday. OUR TEAM is determined to make your Kiteboarding experience an unforgettable one. All of our instructors have years of experience in teaching and you can be sure to learn kiteboarding in the most fun and encouraging environment. Mia is from Egypt/New Zealand and is the cofounder of Kite Tribe. 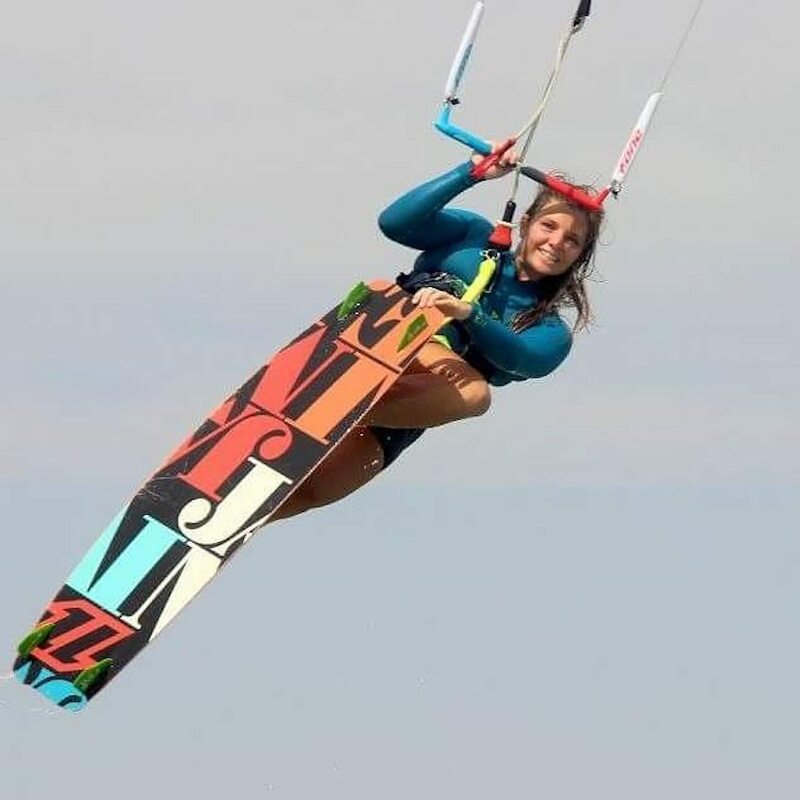 She started her teaching career running kitesurfing workshops for girls before becoming a certified VDWS instructor. Vanni is an experienced VDWS instructor from Croatia. He speaks Croatian, German, English and Dutch. He is also a talented musician in El Gouna. 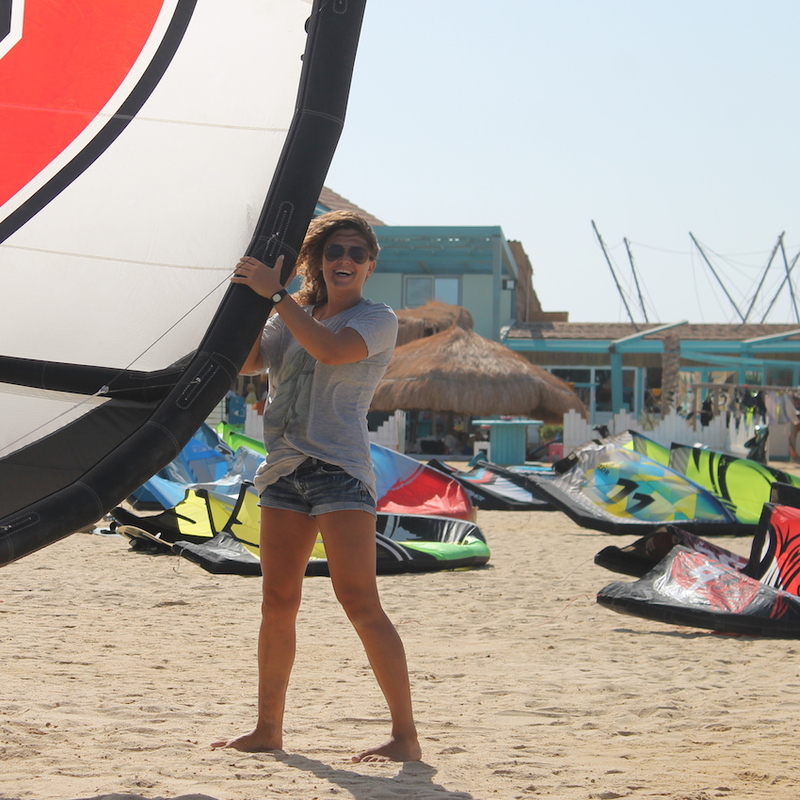 EL GOUNA IS THE PERFECT BACKDROP for a fabulous kitesurfing holiday. Not only are the conditions excellent for all levels of kitesurfers (flat water and shallow lagoons), the town itself has a lot to offer in terms of sports, no wind activities, fine dining and nightlife. KITE TRIBE KNOWS ALL THE HOT SPOTS for the best kitesurfing holidays, on and off the water. Trust us to organise all the added extras for your kite holidays to make it special. Even when there is no wind, El Gouna has a lot to offer! TRAVELERS FROM ALL CORNERS OF THE EARTH agree that El Gouna is one of the best kitesurfing destinations they’ve ever visited. It offers the whole package, with something for everyone; divers, kitesurfers, sunbathers, golfers and families with children. El Gouna is a unique town on the Red Sea, only half an hour's drive from Hurghada International Airport. Over the last few years it has become a Mecca for kitesurfing and other water sports, due to it’s spacious, shallow water lagoons. A safe seaside location with year-round good weather, El Gouna is the perfect destination for active holiday-makers who love the sea and sunshine! The town is surrounded by mountains, and there are plenty of desert activities - in particular hiking - that have become very popular too. THIS SMALL SEASIDE TOWN IS CLOSE TO LUXOR, one of the most famous cities in Egypt for visitors wanting to explore Ancient Egyptian history. Full of temples and pharaohs tombs, Luxor is along the river Nile. Day trips are possible from El Gouna to Luxor (3 hours drive) and you are guaranteed an action packed day full of awe-inspiring ancient history...The perfect way to spend a no-wind day! THE CLOSEST AIRPORT TO EL GOUNA IS HURGHADA International Airport, which has become a main hub with plenty of flights coming direct from Europe, including Germany, England, France, Switzerland and Belgium. The alternative is to transit in Cairo; with a 45min flight to Hurghada, making it quick and easy. Take the stress away, simply ask us and we can organise your taxi or a minibus from the airport with one of our reliable and trustworthy drivers. Most nationalities need to pay for a visa upon arrival. The entry visa costs 25 euros and is valid for 30 days. Look for the visa counter at the airport! It is easy to extend the visa if needed. GETTING AROUND IS MADE EASY with plenty of affordable public transport, including toktoks, mini vans, shuttle buses and taxis. Travelers can also rent motorbikes, quad bikes, cars and scooters for the duration of their stay. El Gouna also has some new e-bikes stationed around town. Toktoks are by far the easiest way to get around. They have stations in the marina and downtown and are often ready and waiting near hotels, restaurants and busy commercial areas. Toktoks can take up to 3 people. Prices are listed in the toktok above the driver’s seat. Taxis (Budget Taxi Company) need to be ordered in advance. Their offices are found in the downtown area, next to the supermarket. For larger groups, minibuses can be found in El Gouna, taking routes from the kite beaches towards town and back. They can also be called and ordered privately. ALL PUBLIC TRANSPORT SERVICES can be reached via mobile, through the hotel or over any internal line within El Gouna. Dial 0 from any landline within El Gouna to be transferred to El Gouna Phone Operators.